It’s Official! Baby #4 is Going To Be a BOY! I went for my first big ultrasound last week and we found out that Baby #4 is going to be a boy. So that means I will have 3 boys and 1 girl, all under the age of 5. It makes me chuckle thinking about how chaotic my life is going to be. My youngest is 9 months right now and just starting to crawl. He will be 14 months when the new baby is born. My first 2 are 18 months apart, and I have to be honest with you, it was not easy. It takes time for the older baby to get adjusted. They get extremely jealous that they are not the baby anymore. The thing is, I don’t want to do that because at 14 months, they ARE still a baby. I did get a few ultrasound pictures, but for some reason I can’t get my scanner to work – so I took a picture of the picture. I think the little guy looks like an alien in this one, but I just loved that you can see his arm & hand. They said he was moving around like crazy while they were doing the ultrasound, but I really am not feeling him much yet – only taps here and there. Though this is my 4th pregnancy, I am still amazed at how much of a miracle it is to be able to grow life inside of me. And in a short amount of time, I will be able to meet this little baby boy #3. I do want to quickly say that I am so happy to be able to have a place to share and have such wonderful blog friends who take the time to comment and respond to my posts. It feels good knowing that I will always have someone who can answer questions, sympathize with me, and share experiences. Blogging was one of the best decisions I have ever made. Thanks so much to all of you – my faithful readers and subscribers! Congrats! That’s soo exciting! Do you have any names in mind? .-= Cassidy´s last blog ..Piggy Paint LOVES You!! =-. Congratulations! I love raising boys! .-= Cindy Schultz´s last blog ..Take Down the Bird Feeder =-. That ulta sound pic looks amazing!. Is he grabbing his ear? Congrats on your 4th child.4 children under 5 you are never going to be bored again.lol You are going to have so much fun really, When are you due? .-= jessica c´s last blog ..home improvments =-. Look at it this way, you will get them raised all at the same time! Right! I have 3 boys and my last was a girl. They are 11, 6, 33 mos and 18 mos. The last two have been a physical and emotional challenge for me, but WOW! What a blessing. Hang in there and thank you for sharing your experiences! .-= Suzanne´s last blog ..Do Ya Think… =-. Congratulations to your family. 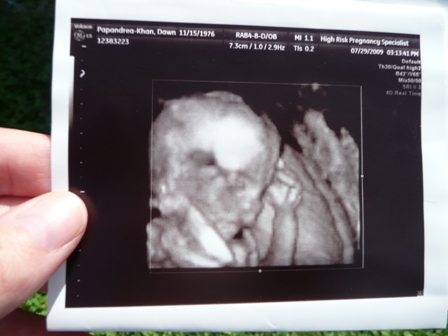 Thanks for sharing the ultrasound photo. Such an amazing and special time. God is so good! Oh, that is so wonderful! Congratulations Dawn! I have never seen such a detailed ultrasound! It’s astonishing! 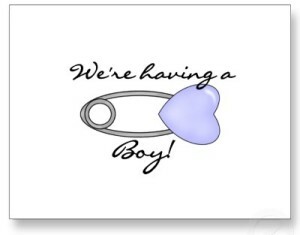 Sorry for all the exclamation points…I am so excited for you and your family! .-= Teresha´s last blog ..My Version of the Stages of Labor =-. Congratulations! Look at that little guy. He is so beautiful. Babies certainly are true miracles. I’m so happy for you and your family. God Bless! Congratulations, Dawn! I can’t imagine 4 children under 5! They truly are a blessings, such special little miracles. Thanks for sharing the ultrasound photo. It’s so incredible to see that tiny person in there! Wow, Dawn, that picture is amazing. It is so clear. Mine were always so difficult to see. Technology has really improved in just 5 years. Congratulations! Congrats on your boy! I don’t know how you do it. I cannot imagine having multiple kids under the age of 5. I mean I’m sure I’ll deal with it and make it work, but goodness. More power, love and strength to ya. .-= Felicia – I Complete Me´s last blog ..Datenight – Have I Become Blind =-. Congratulations on your soon to be new baby boy. My two oldest sons are 18 months apart and then my two youngest sons are 14 months apart. It was hard and my two year old is still adjusting to the new baby after ten months. lol They have a bad case of sibling rivalry. .-= Shynea @ Penny Pinching Diva´s last blog ..EDWARDS PIE SINGLES $.17 AT WAL-MART =-.